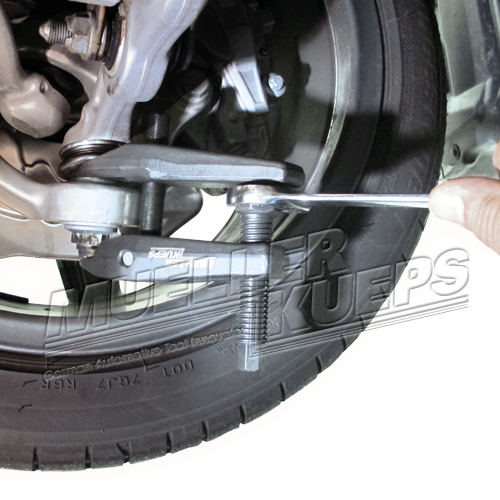 Fast and safe removal of suspension and steering systems ball joints. 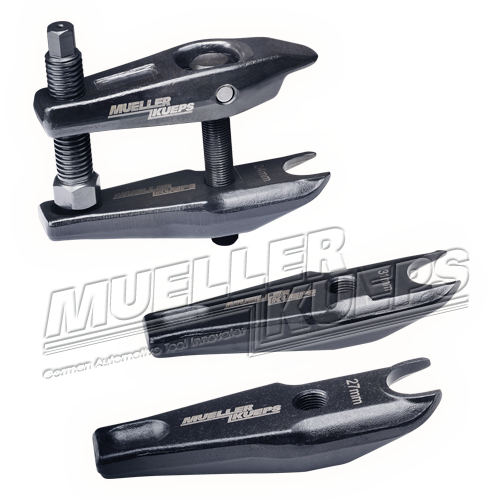 Very rugged, flat design of Ball Joint Separator with 3 ­interchangeable forks, that are attached to the center screw to allow continuous adjustment within the jaw capacity range. 3 different fork sizes (24, 27 and 31 mm) makes a very adaptable separator. e.g. Audi / VW (A3, A4 and A6 with double ­wishbone), BMW, Mercedes-Benz. Making your work quick and safe. No damage to ALU parts and rubber ­components. GET THE 36MM FORK!! I'm sure glad I did. This is an incredibly well built tool, very stout. 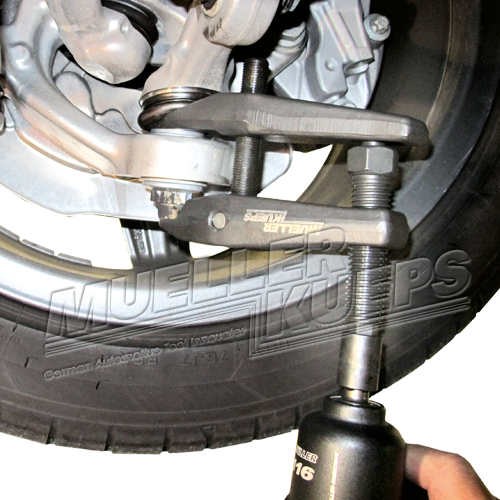 I have yet to damage any studs on stubborn ball joints or tie rod ends. No more hammering on the spindle or stupid pickle forks. Very nice kit, works very well even on 3/4 ton and 1 ton suspension (with the 36mm fork).